The Honda CB300R has been sold out in India for the next three months, the company has announced. Despite being a CKD import, the Honda CB300R undercuts the locally manufactured BMW G 310 R in India. The motorcycle will be sold exclusively through the 22 Honda Wing World showrooms across the country. While the first batch of bikes is sold out, the next batch can be booked at an amount of INR 5,000. The company, however, has not revealed the booking numbers or the units that are earmarked in the first phase. 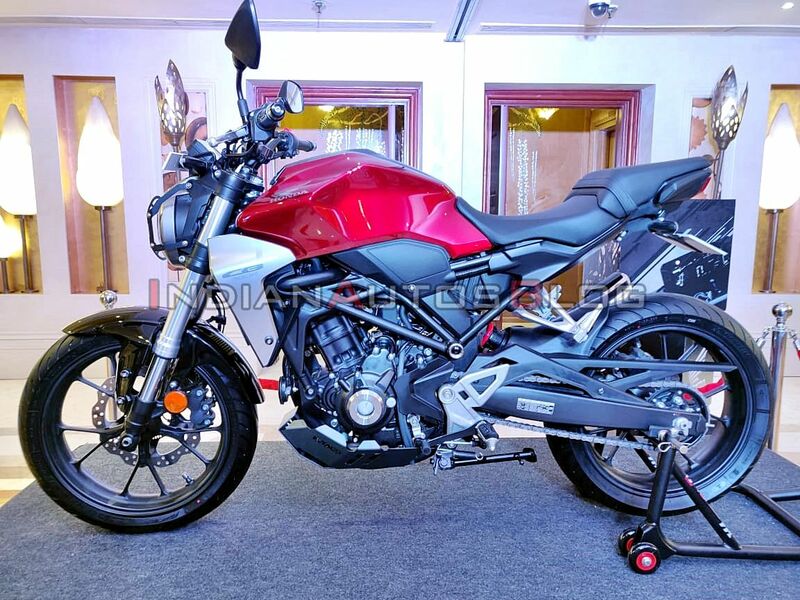 The motorcycle is imported into the country via CKD kits and assembled locally at the company's facility in Gurgaon. Interestingly, the CB300R undercuts the BMW G 310 R, despite the latter being locally manufactured in India. The first batch of motorcycles will be delivered to customers by the mid of March. Considering the CB300R is booked till May, the next lot of bikes will only be shipped from June. The Honda CB300R is a 'Neo Sports Cafe' that stands out in a sea of naked streetfighters. The motorcycle has been able to carve out a niche with its radically different modern-retro design philosophy. The CB300R features a round LED headlight with a digital instrument cluster on top of it, a sculpted fuel tank and a raised tail section with step-up seats. The Honda CB300R features top-shelf components like 41mm upside-down forks, cast aluminium swingarm, and an adjustable rear mono-shock. The motorcycle features first-in-segment IMU (Inertial Measurement Unit) based dual-channel ABS that controls the front-to-rear distribution of brake force. Braking force comes from 296 mm front and 220 mm rear disc brakes. The Honda CB300R features first-in-segment IMU (Inertial Measurement Unit) based dual-channel ABS. Powering the Honda CB300R is a 286cc DOHC, liquid-cooled, 4-valve engine that produces 31 bhp of maximum power and 27 Nm of peak torque. The fuel-injected motor works in tandem with a six-speed gearbox. While the output figures are the lowest as compared to the rivals, the lower kerb weight of 147 kg provides a better power-to-weight ratio to the motorcycle. 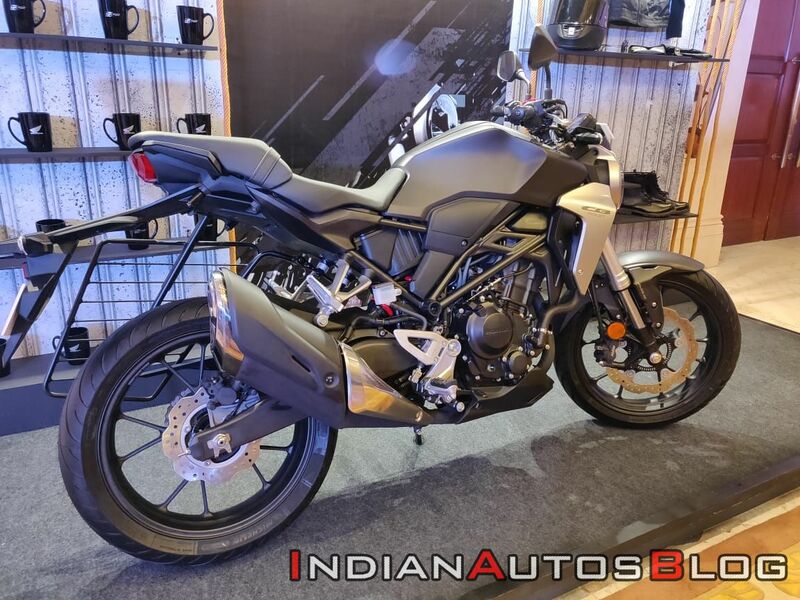 The Honda CB300R competes with the BMW G 310 R, Bajaj Dominar 400 and the KTM 390 Duke.